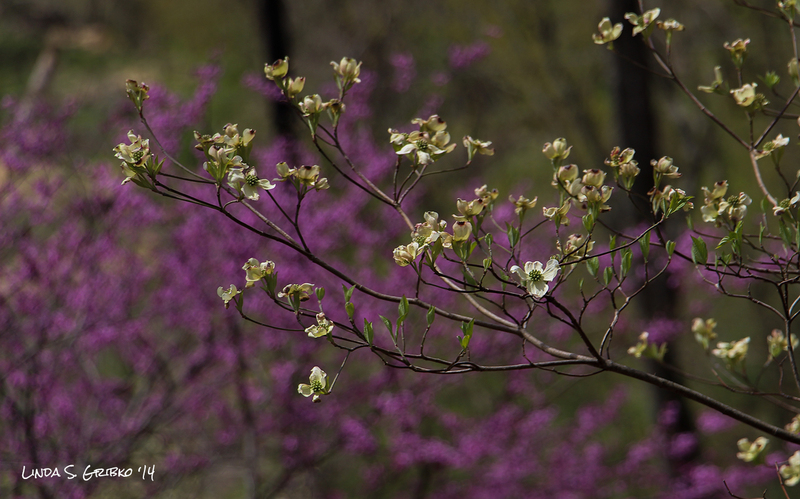 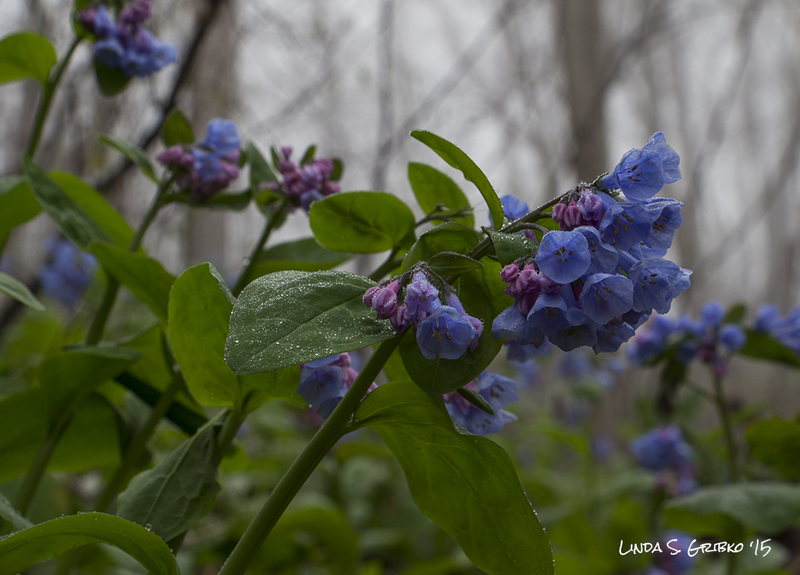 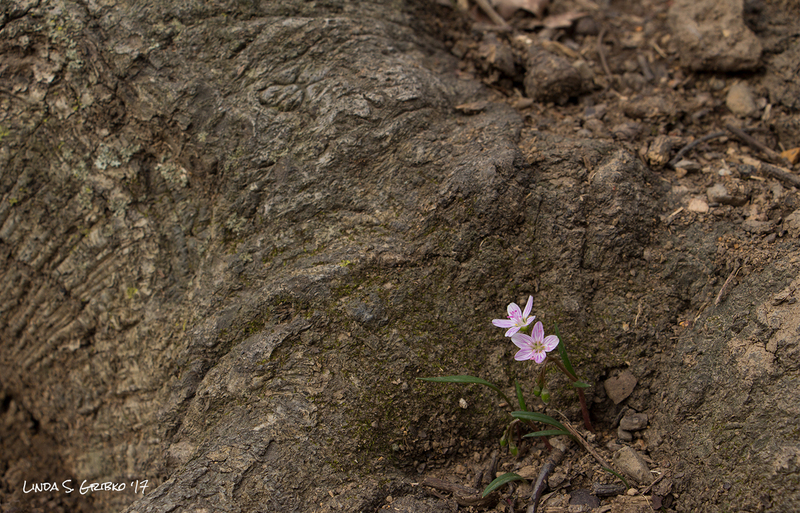 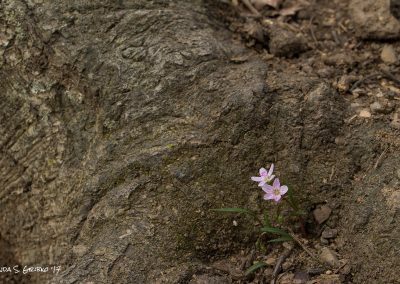 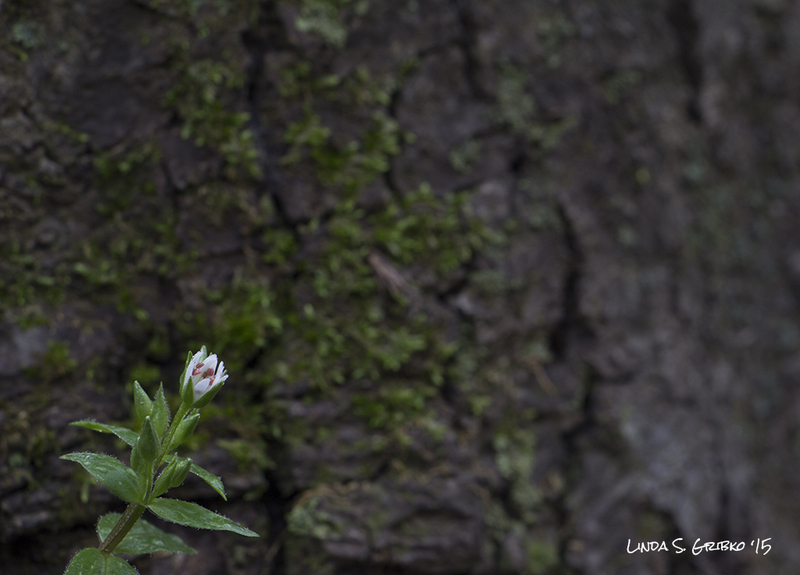 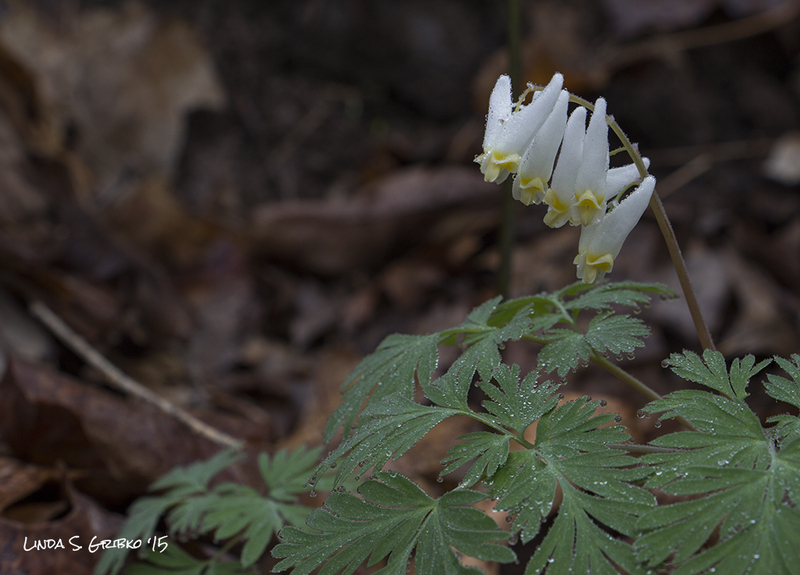 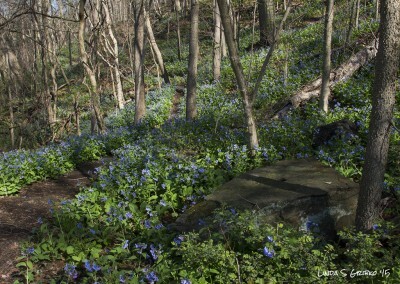 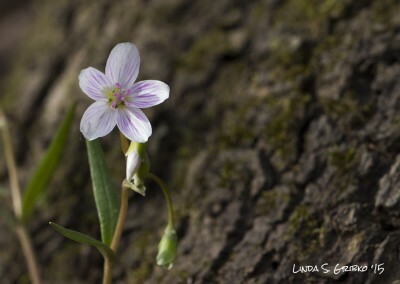 Spring ephemeral wildflower season is always an event in West Virginia. 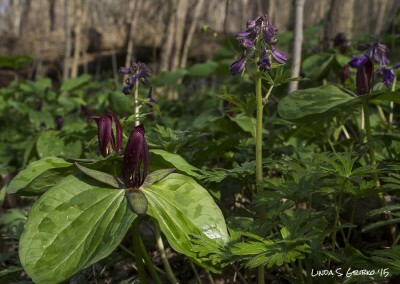 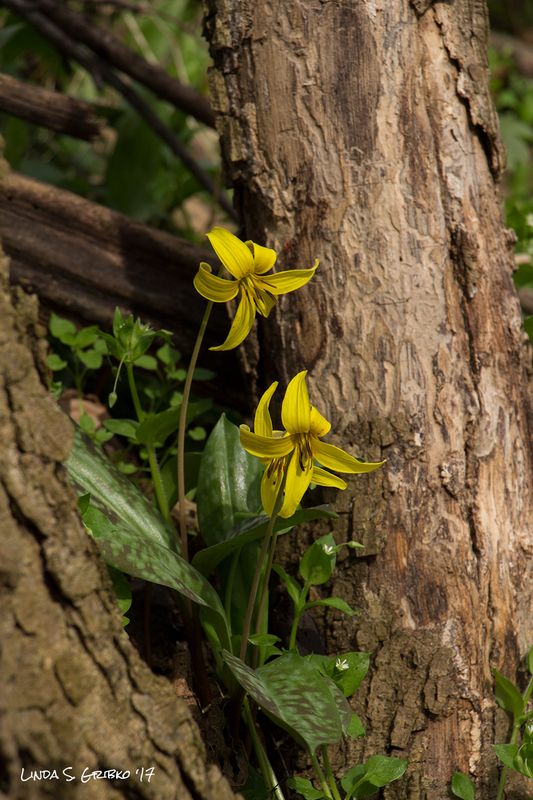 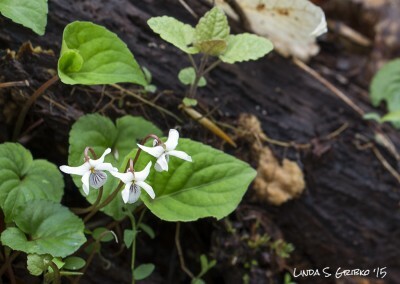 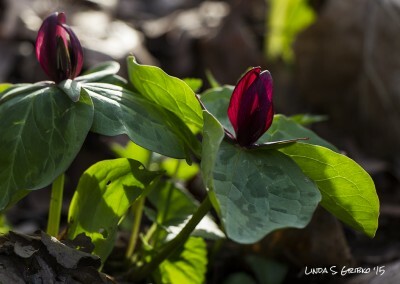 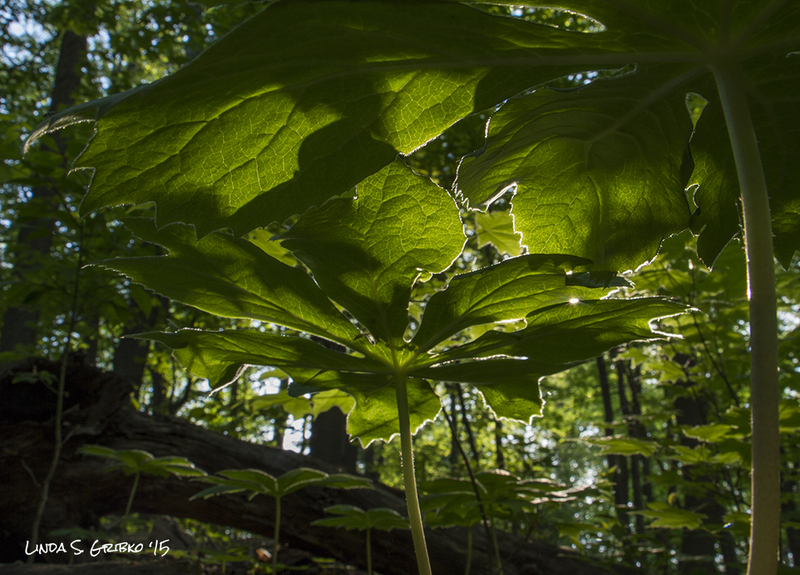 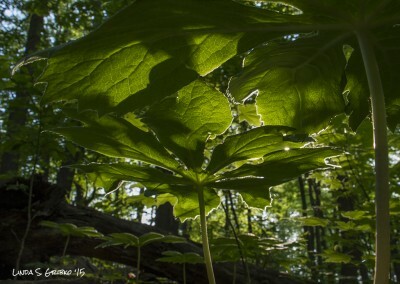 Spring breaks quickly here and the forests explode with color for only a short period before the leaf cover returns to shade the forest floor. 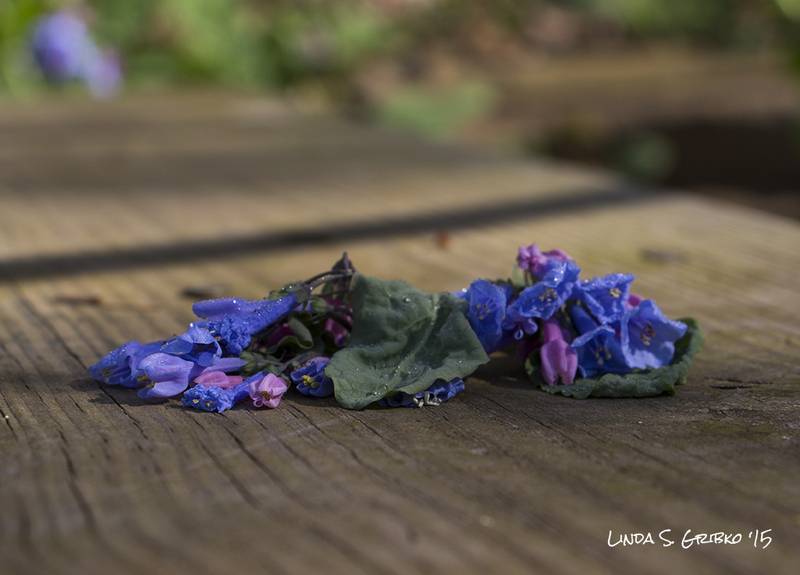 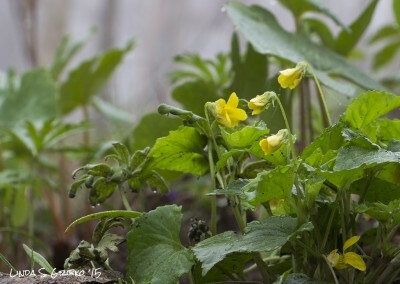 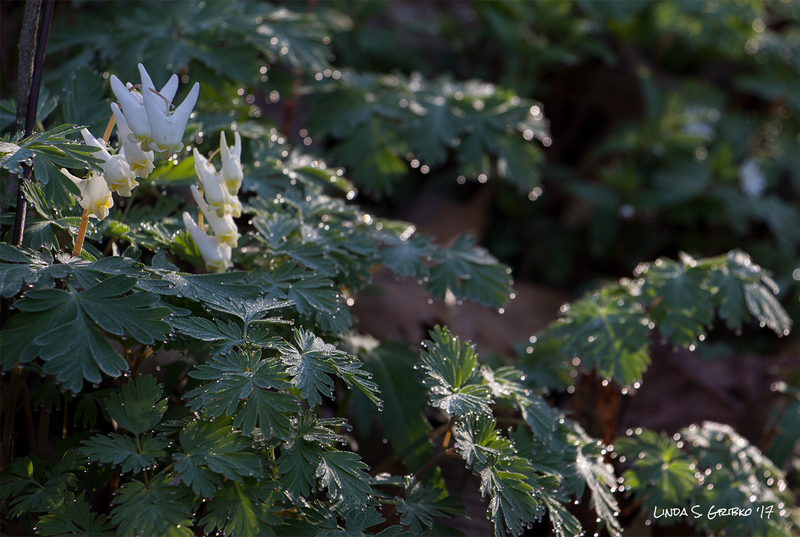 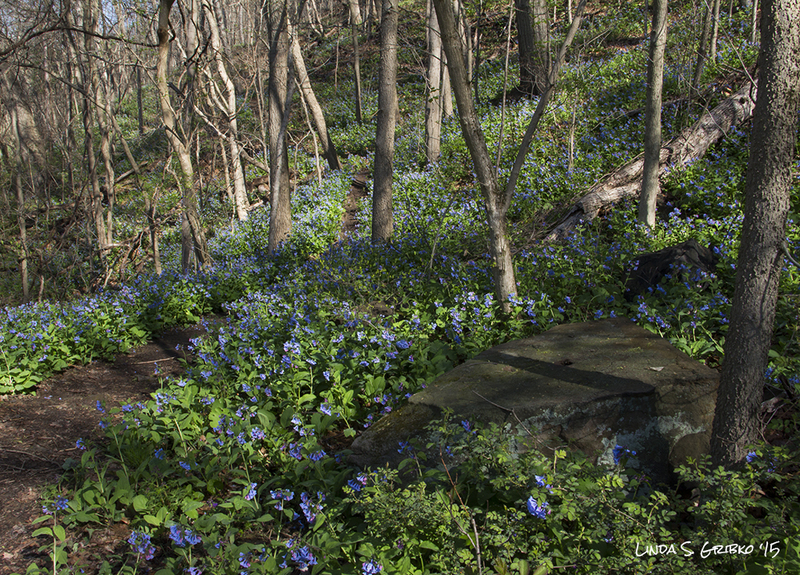 Ephemeral says it all—get out there quickly in April and early May or you’ll miss the show. 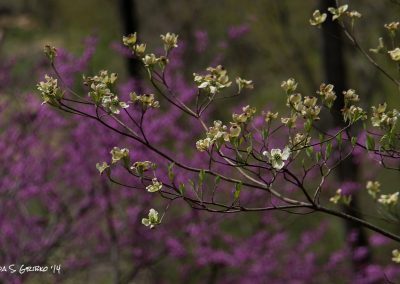 I took most of these photos at the WVU Core Arboretum in Morgantown, West Virginia, which covers a steep hillside dropping 200 feet to the Monongahela River. 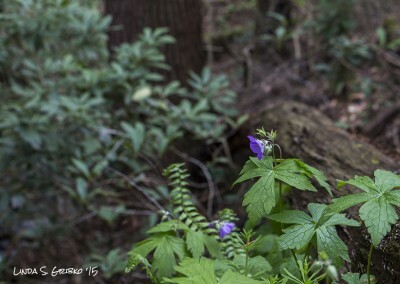 Sports fans who crowd into the coliseum next door for Mountaineer Basketball likely have no idea that the real magic in Morgantown takes place not on the court, but in the unassuming woodlot skirting the parking lot. 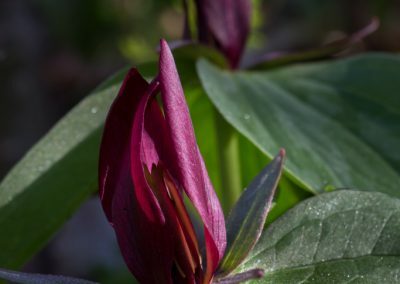 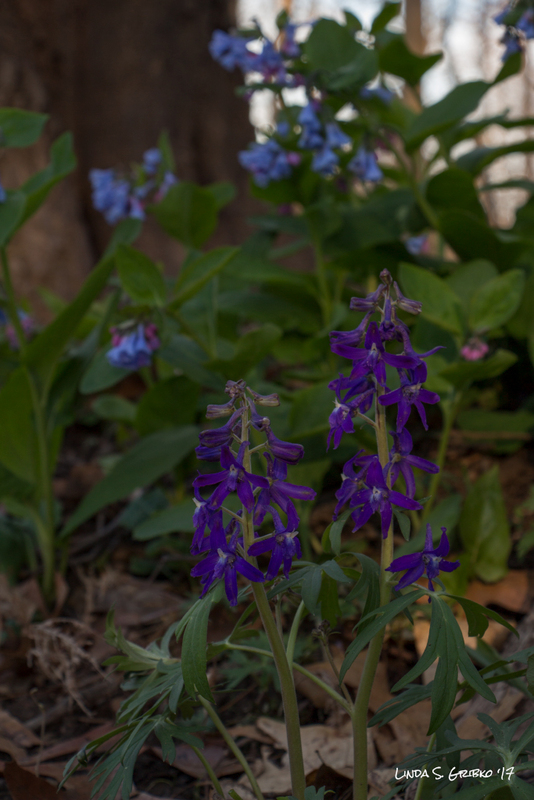 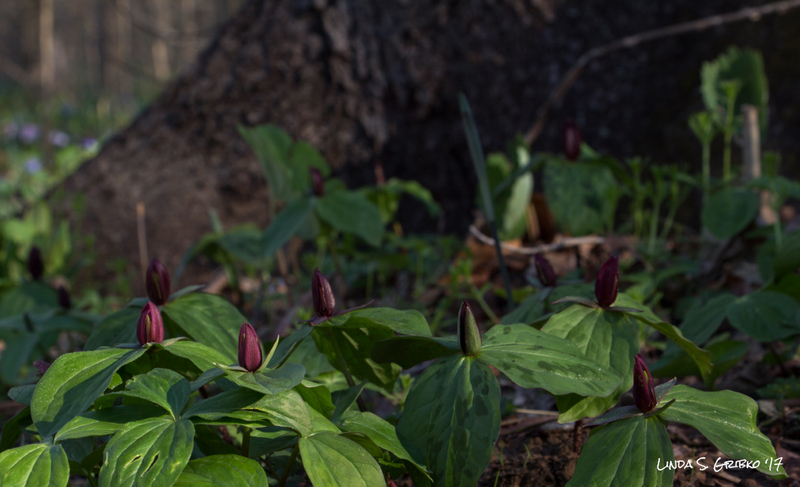 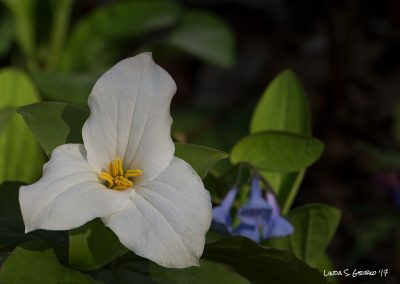 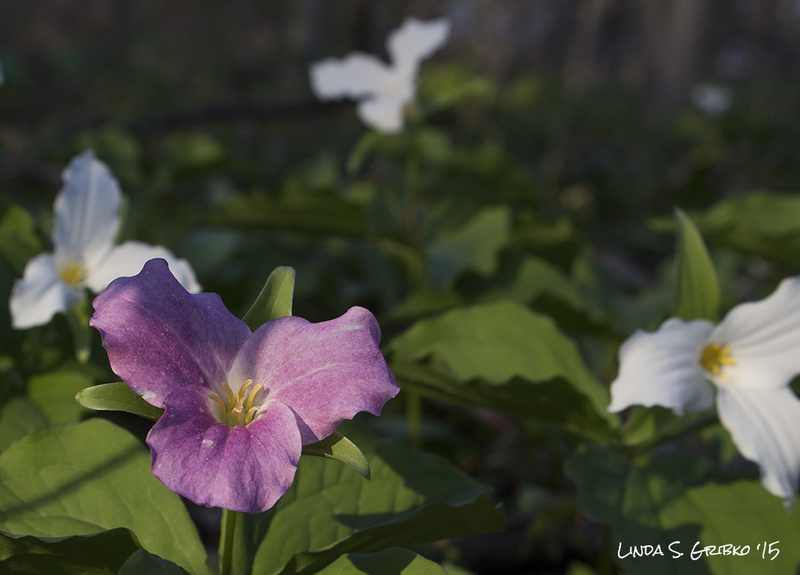 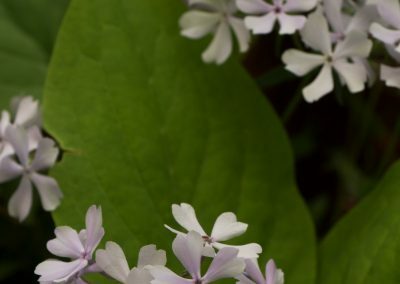 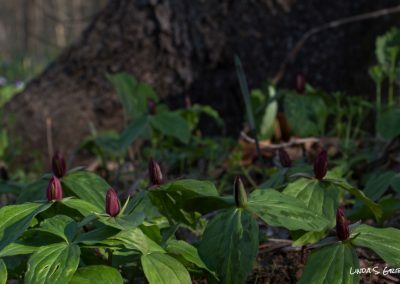 Springtime here means white, pink, and maroon trilliums, yellow trout lilies, pink geraniums, lavender phlox, purple larkspur, and acres of blue and pink Virginia bluebells (and that’s not even naming everyone who comes for the party). 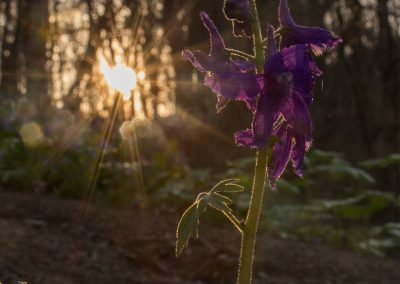 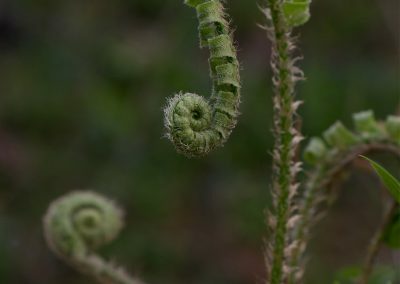 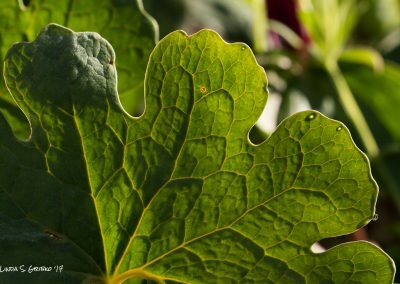 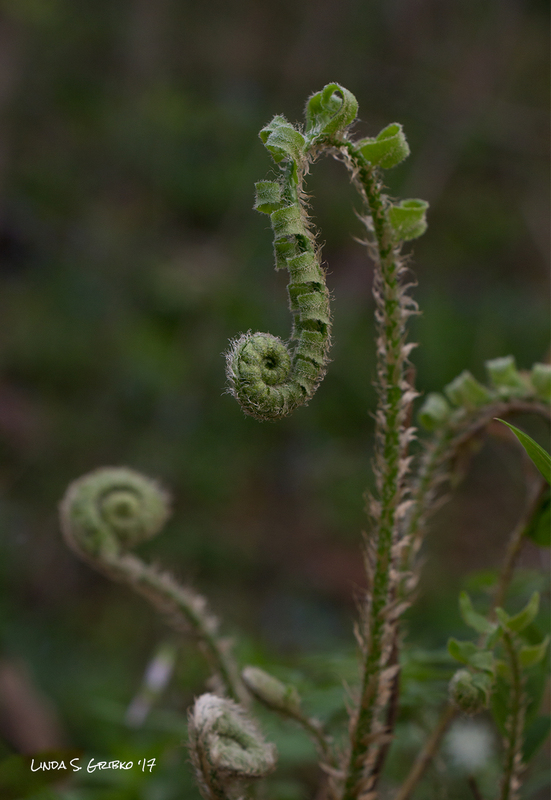 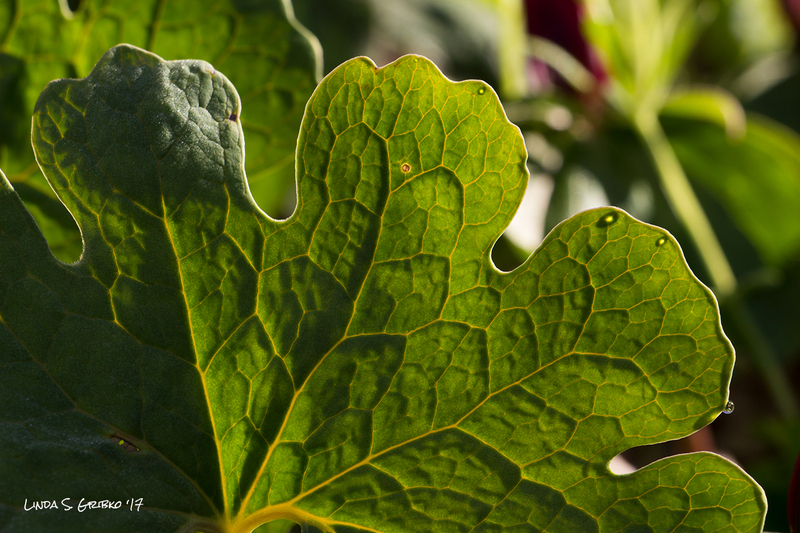 If you’re ever in the area from mid-April to early May, make sure you take the time to visit the Arboretum…and don’t forget your camera. Please contact me if you’d like a print of any of the images in this gallery. 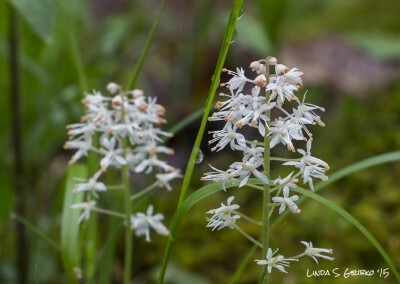 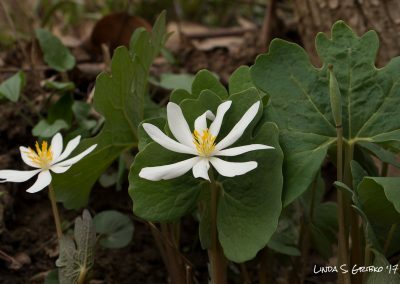 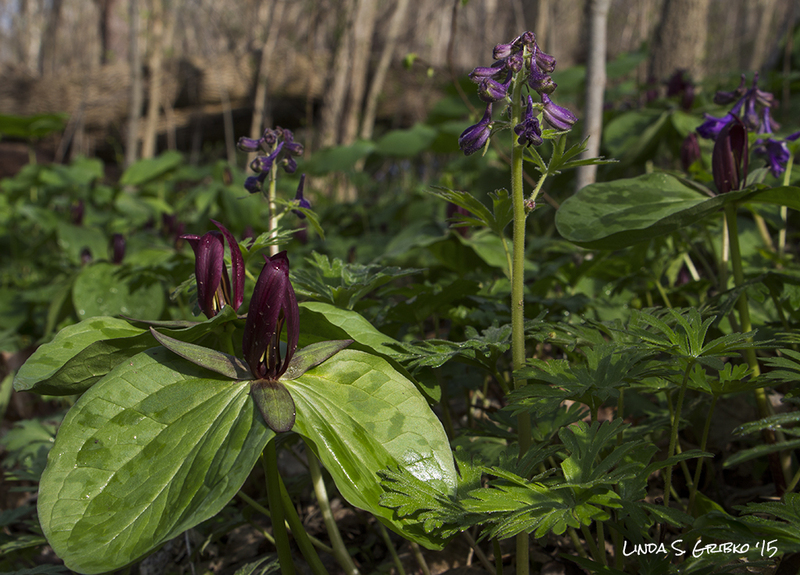 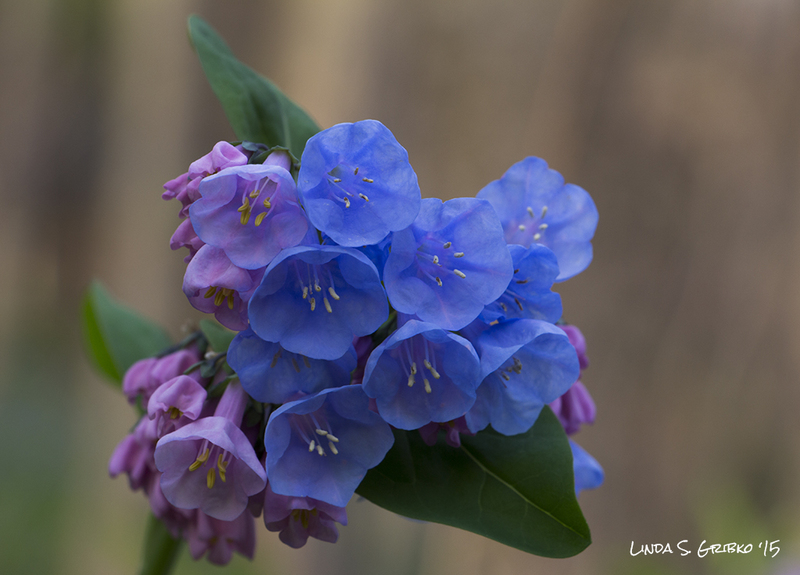 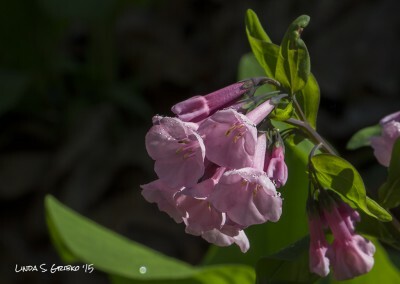 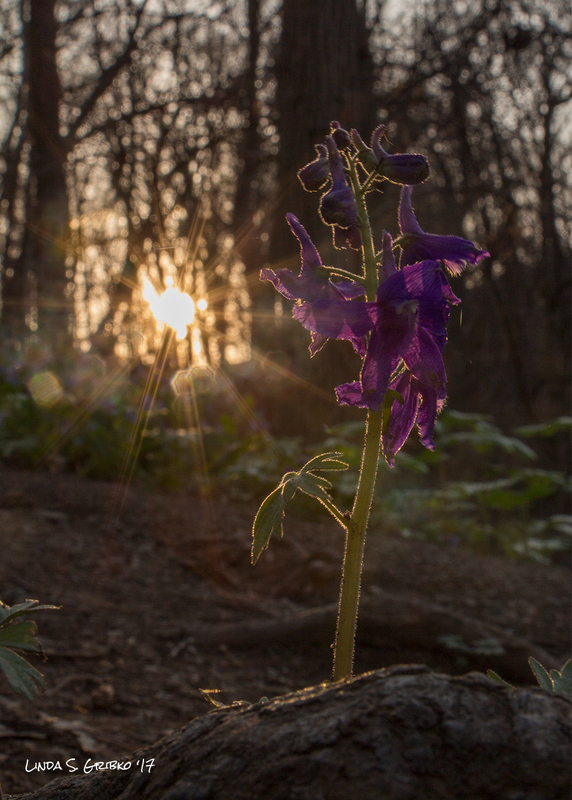 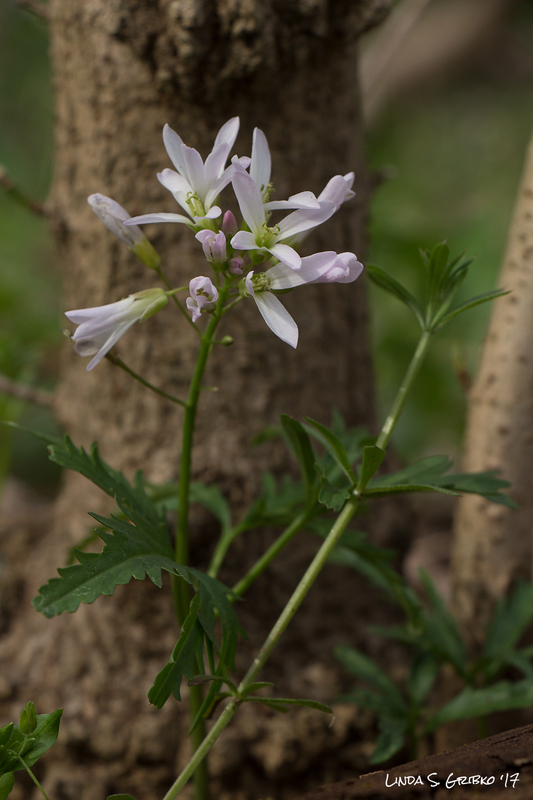 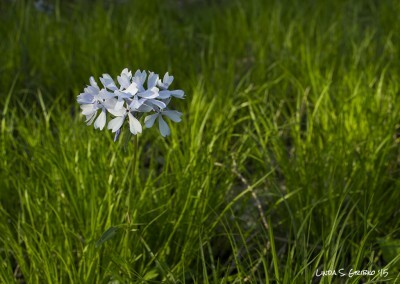 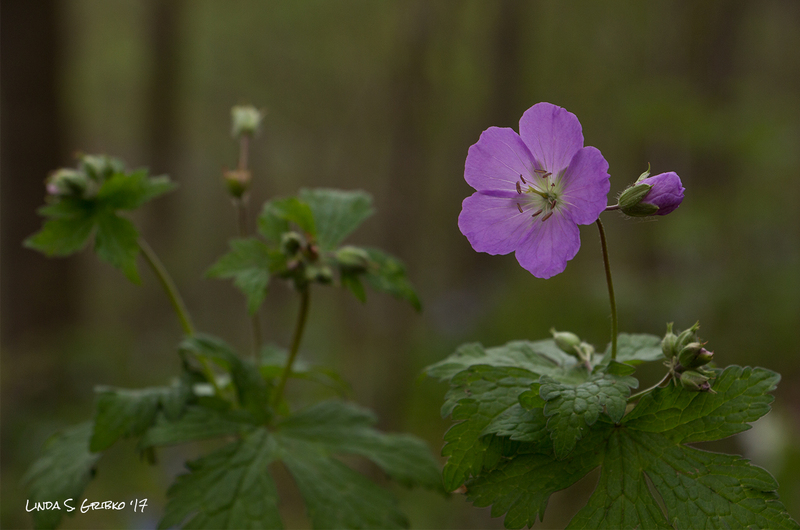 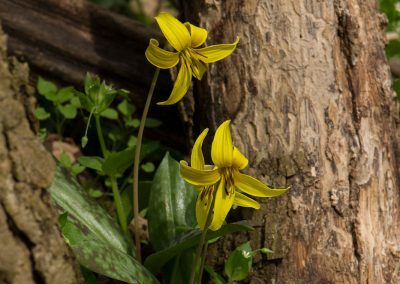 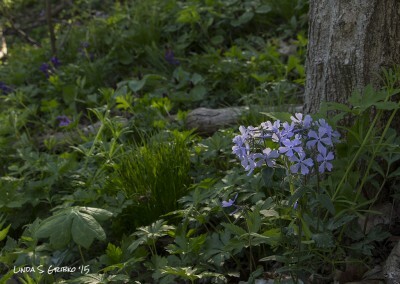 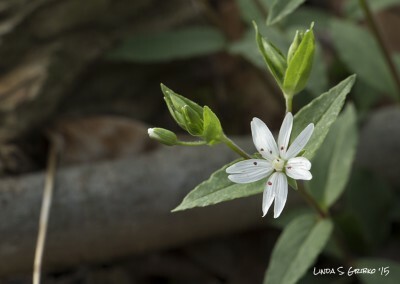 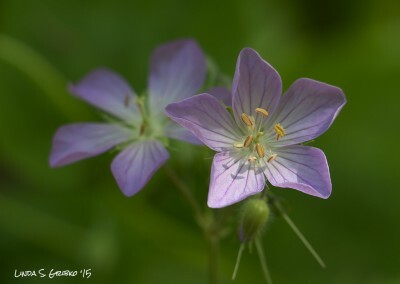 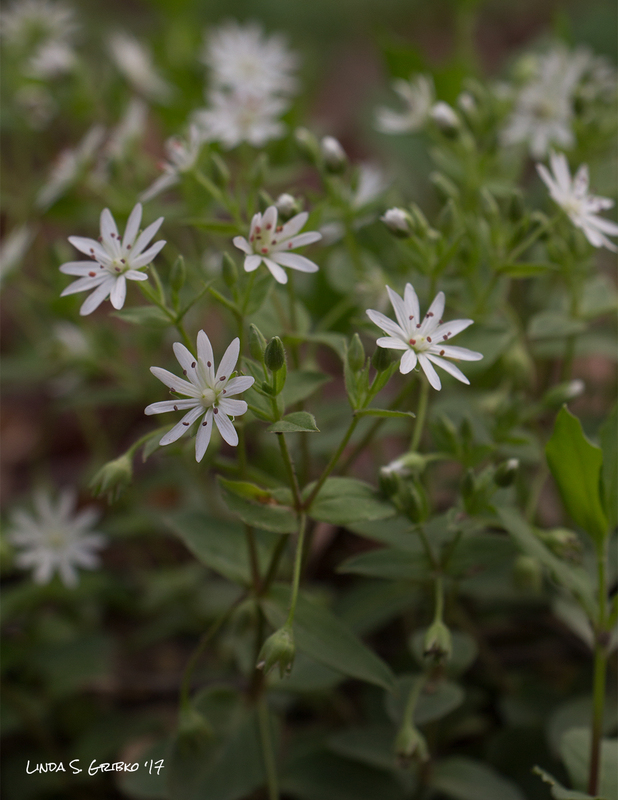 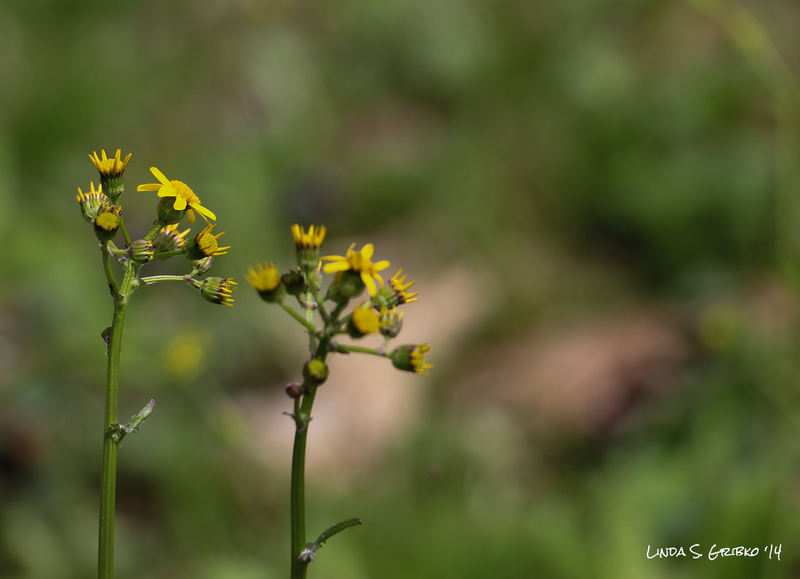 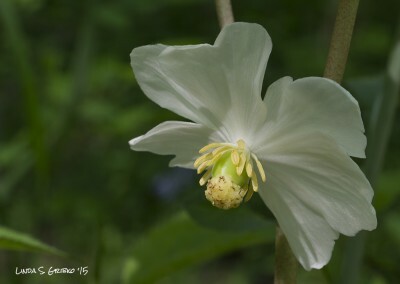 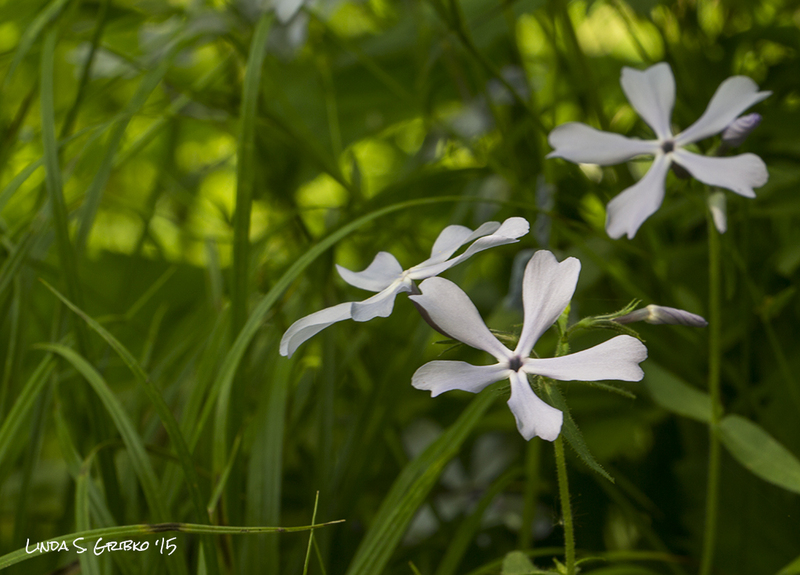 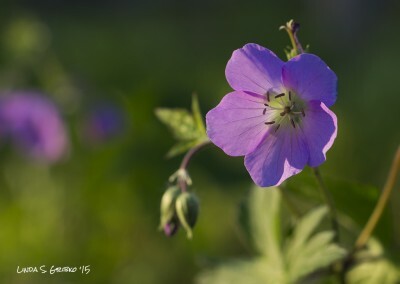 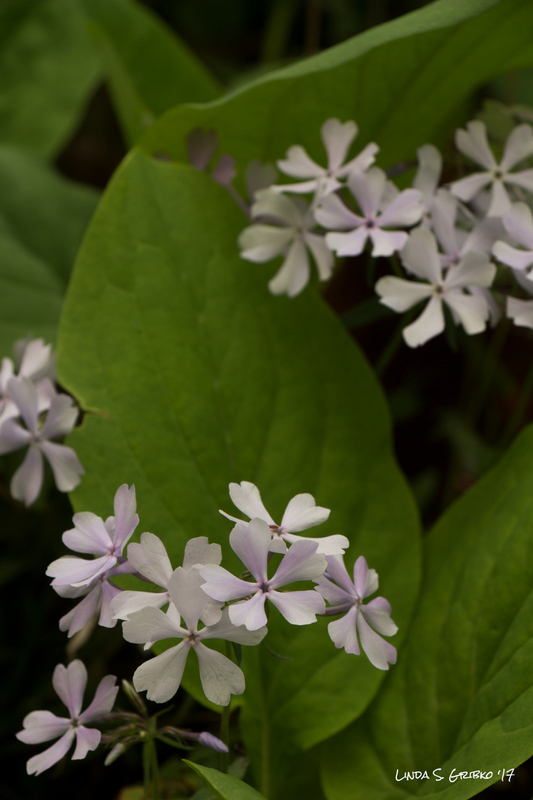 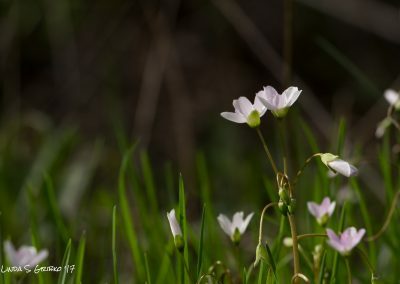 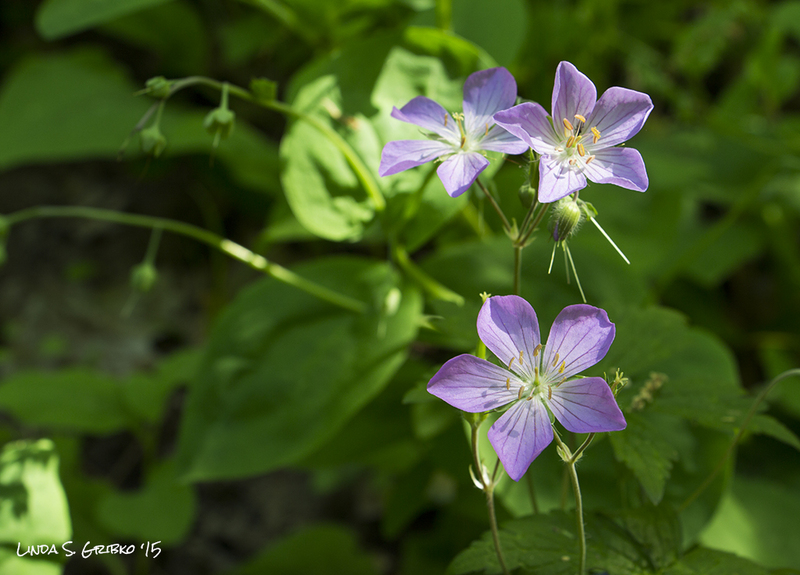 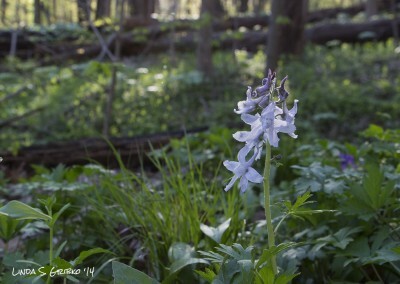 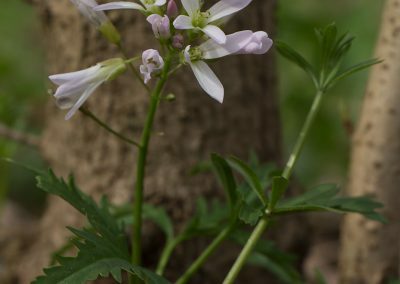 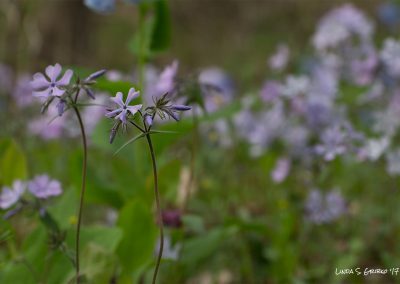 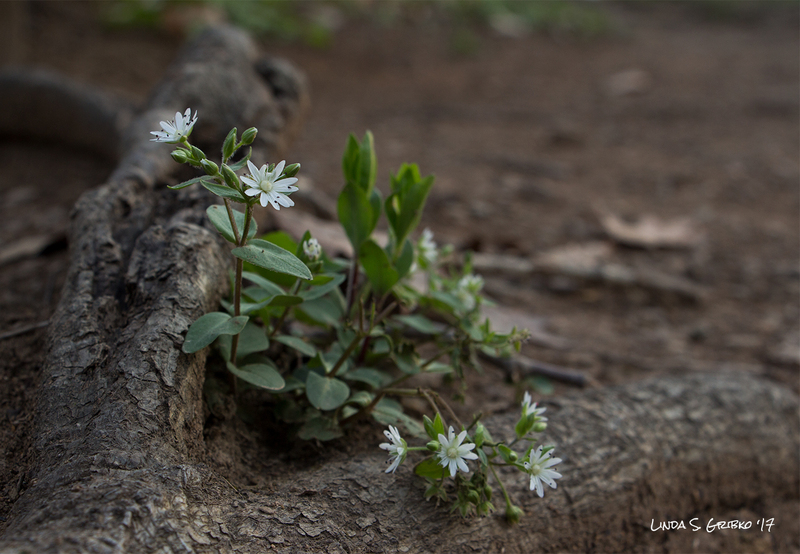 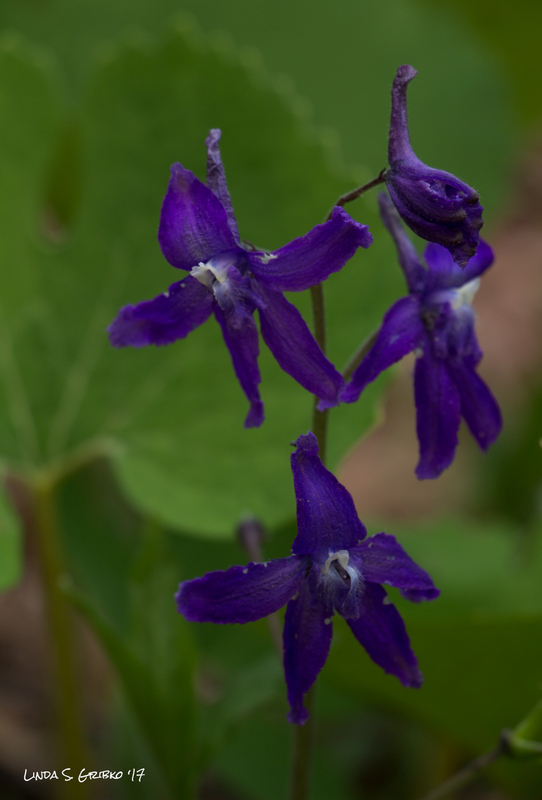 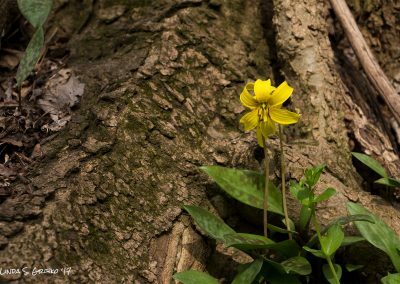 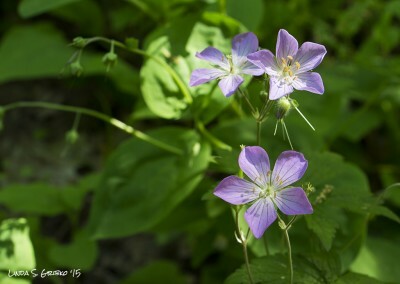 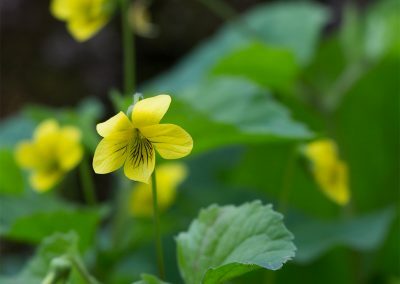 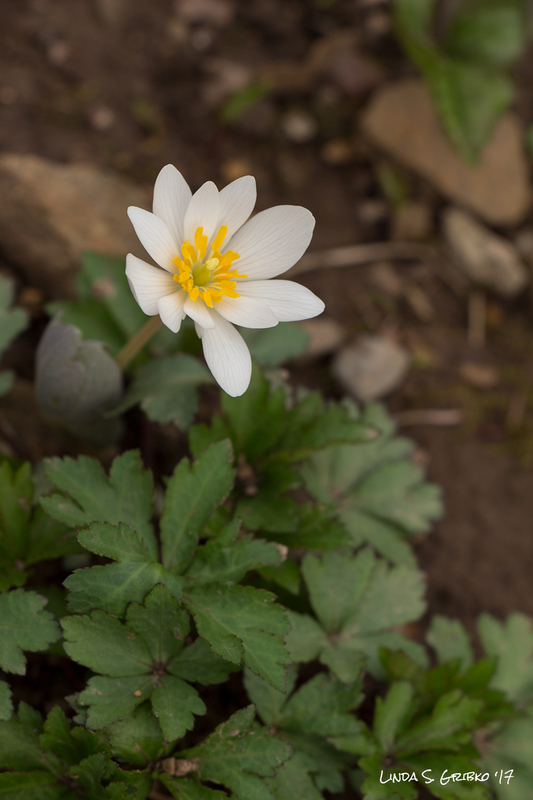 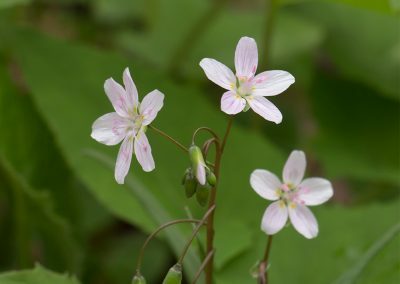 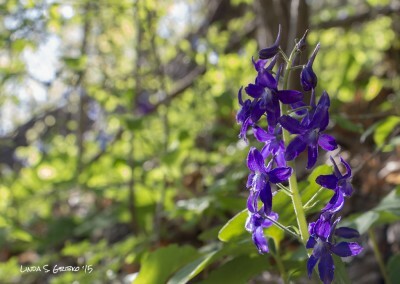 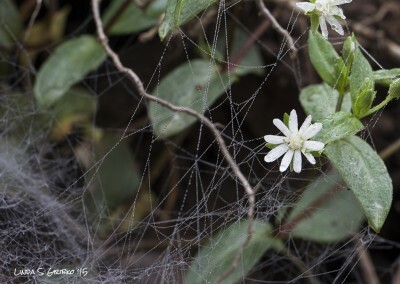 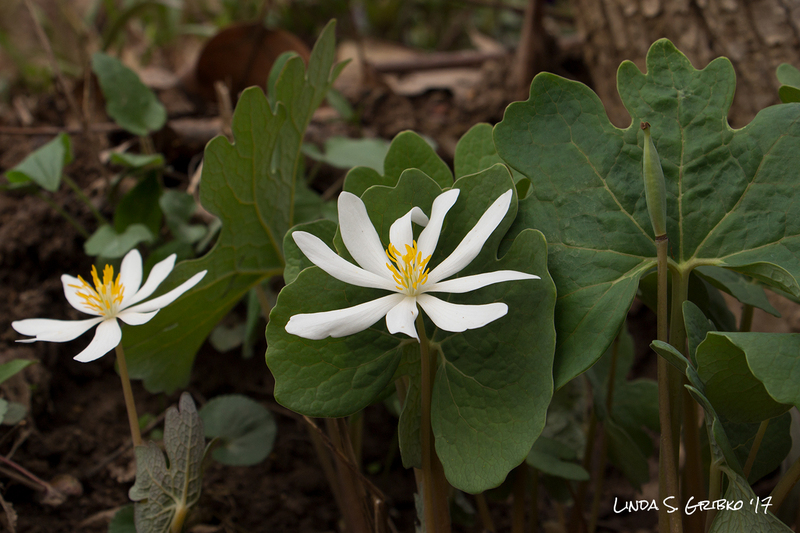 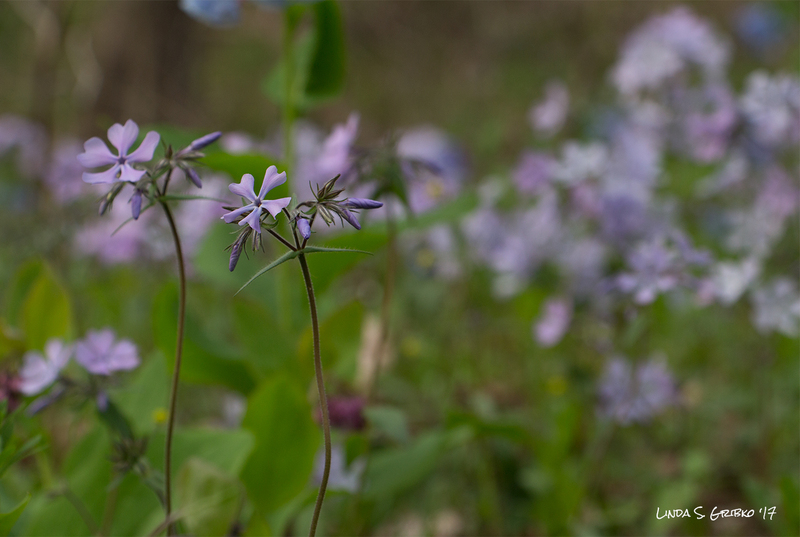 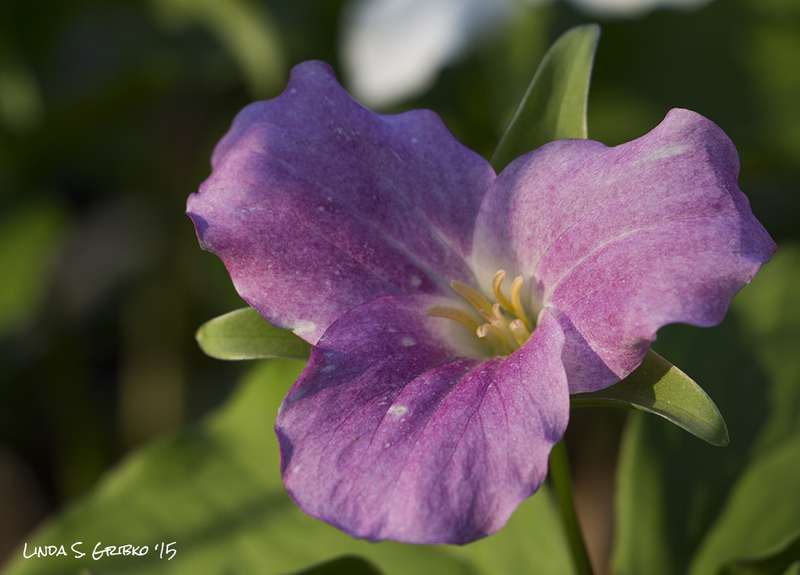 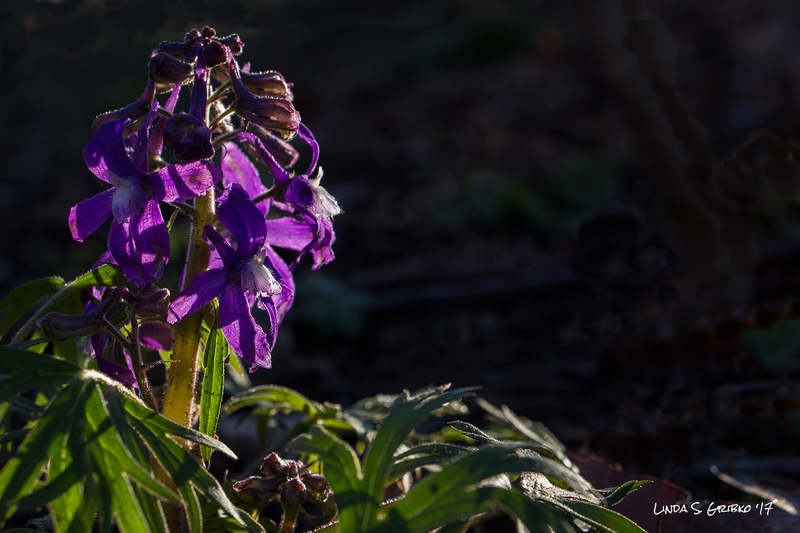 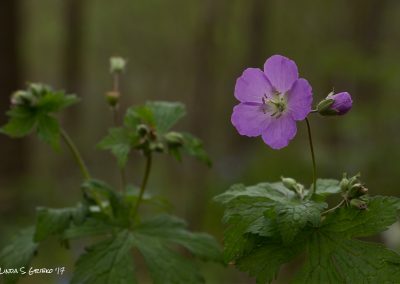 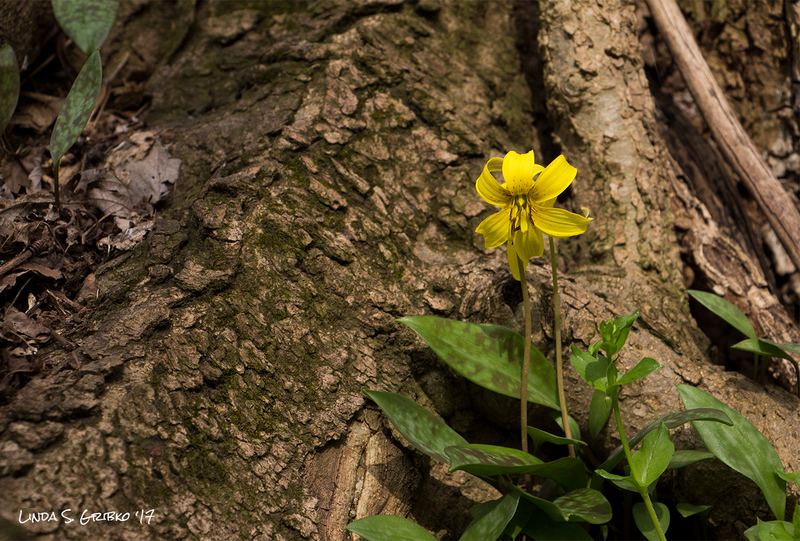 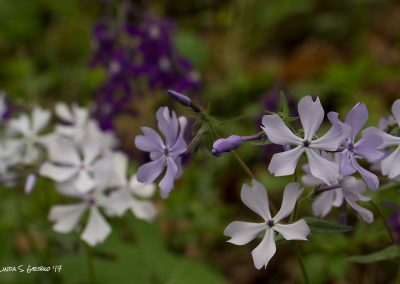 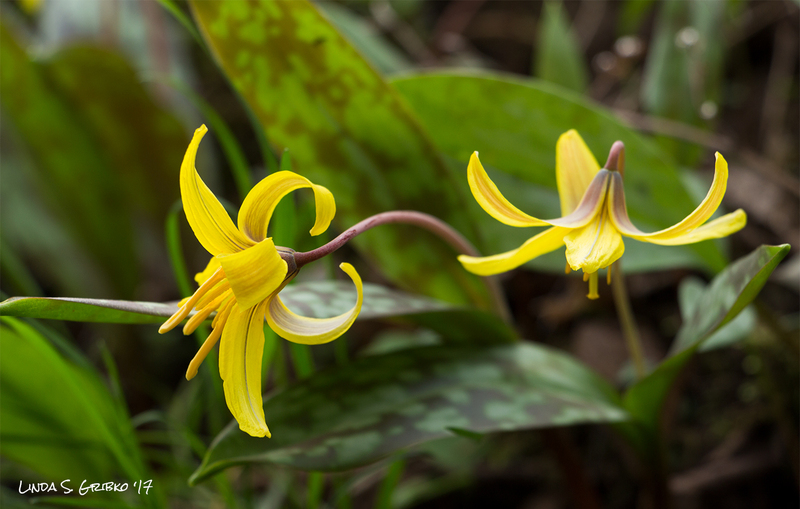 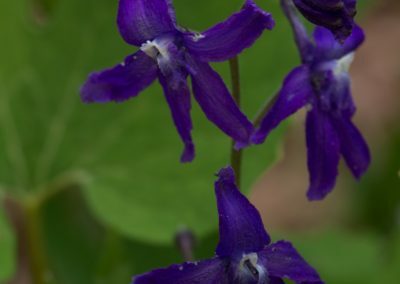 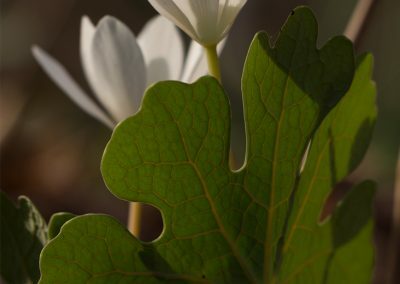 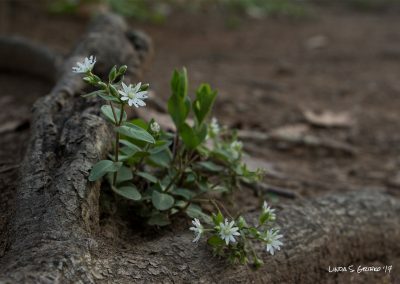 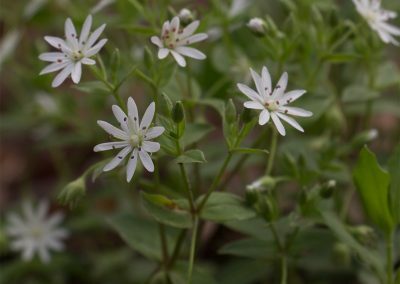 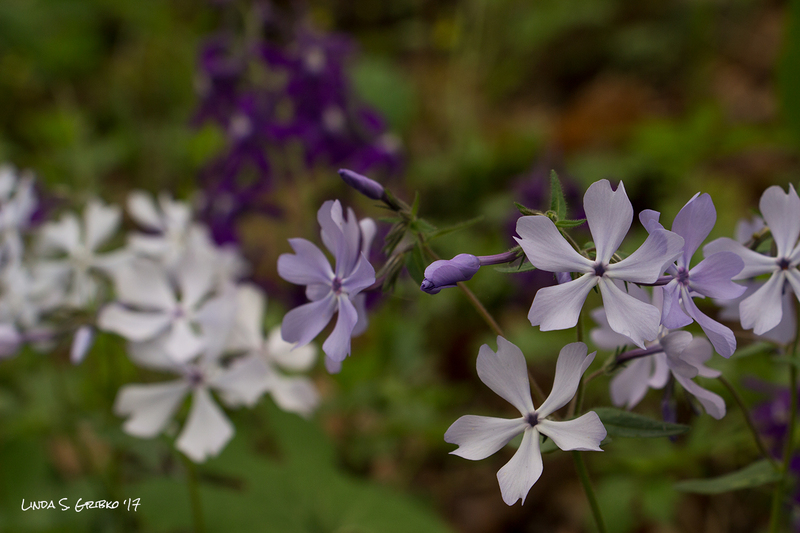 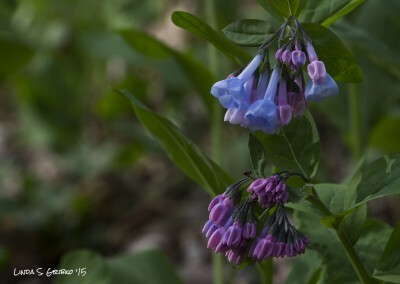 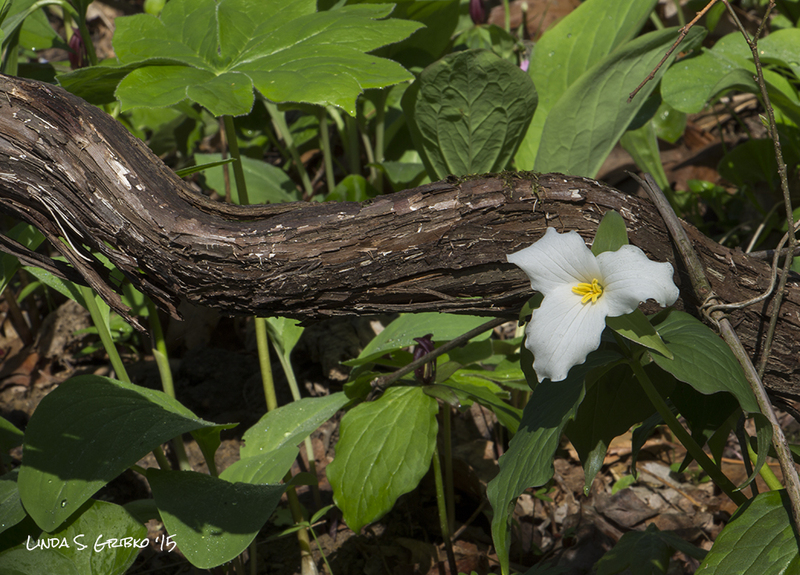 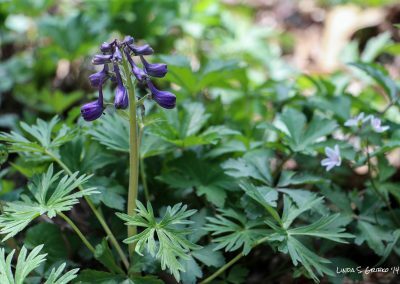 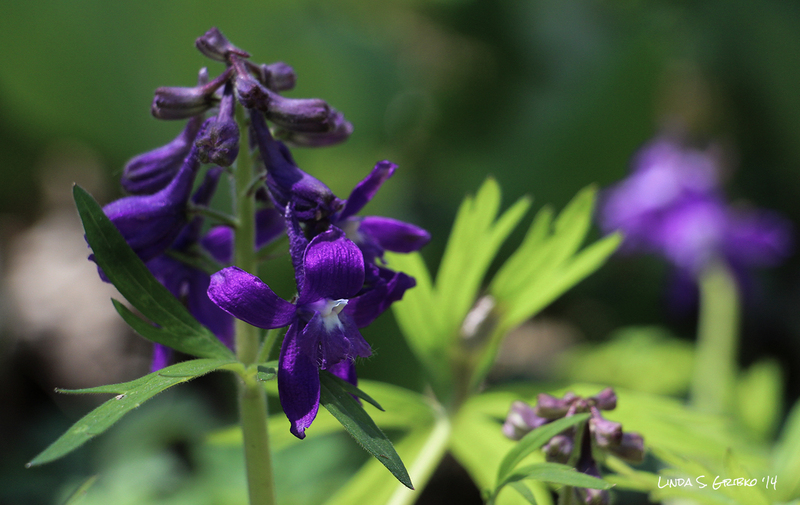 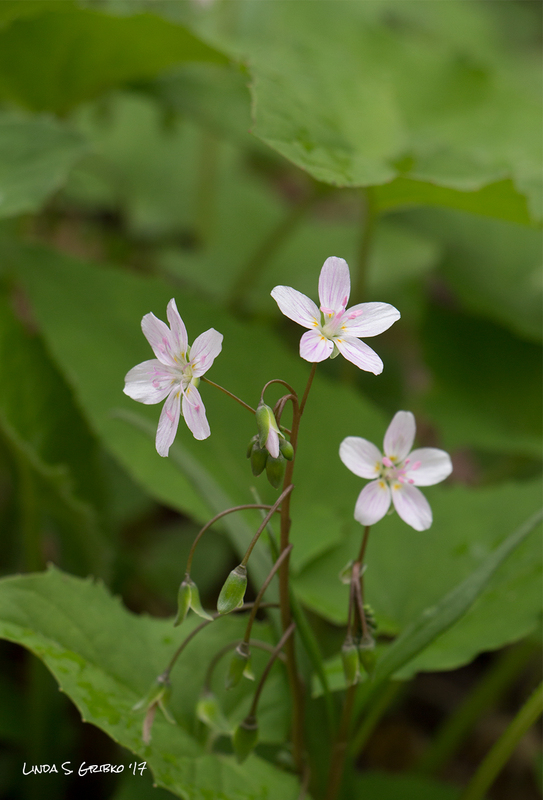 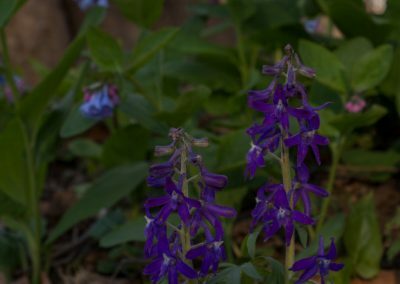 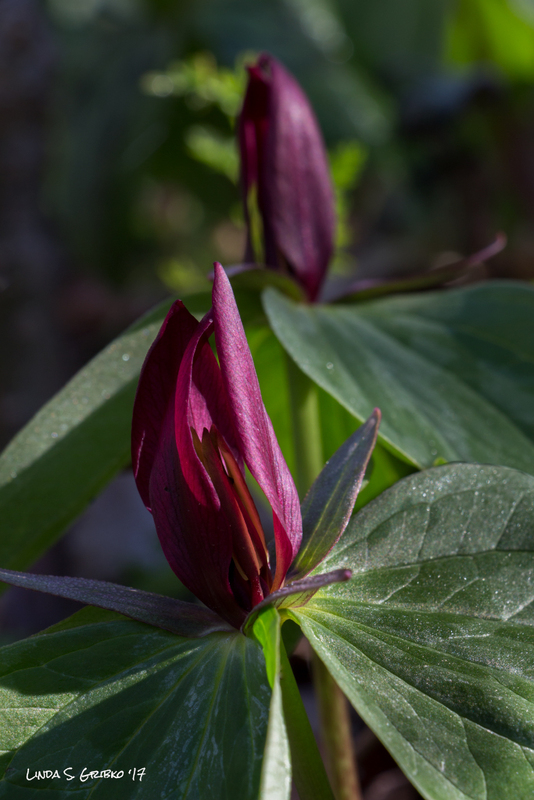 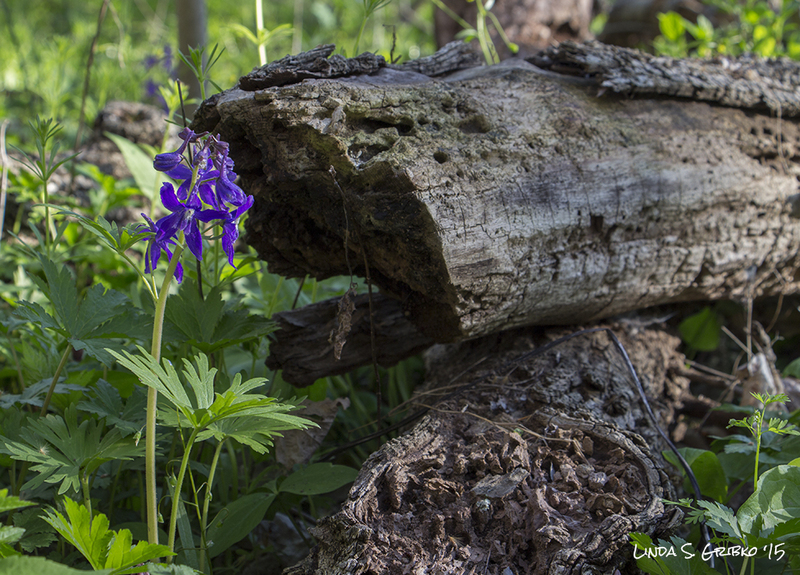 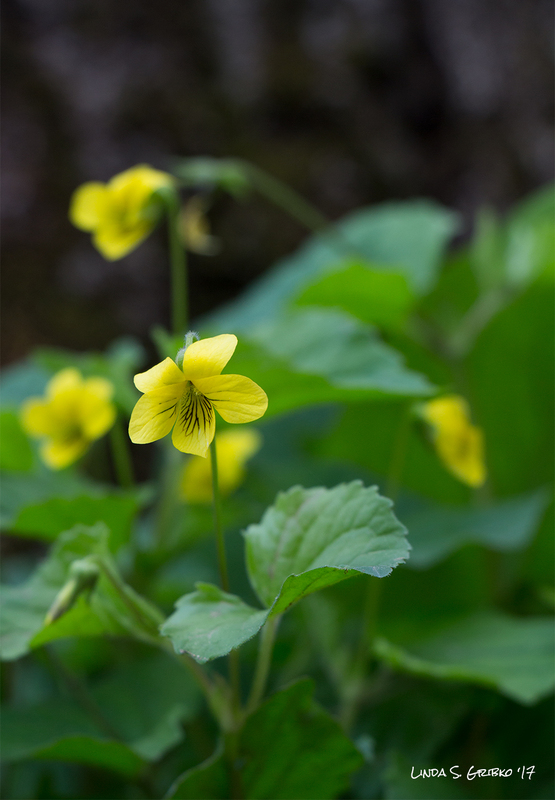 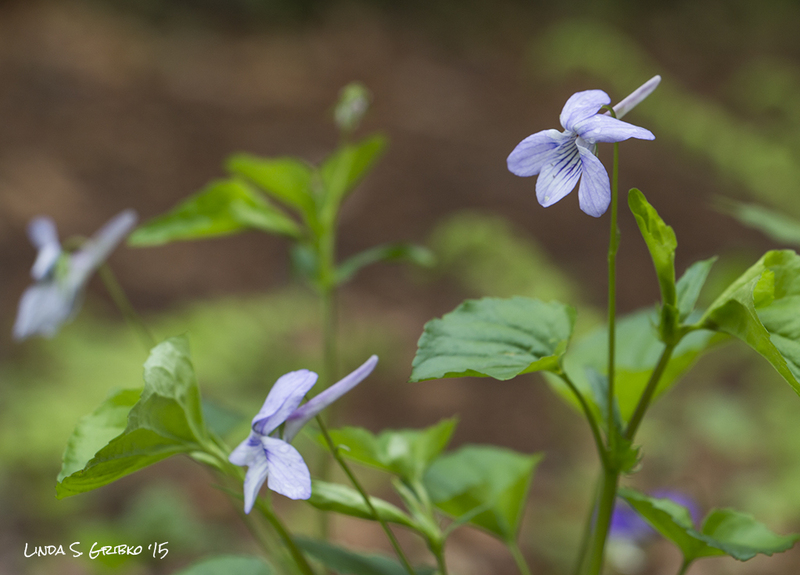 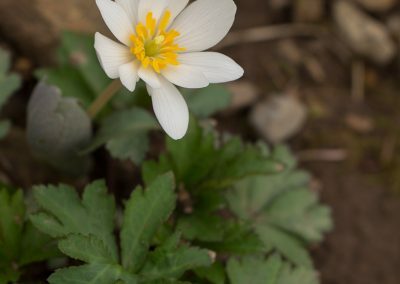 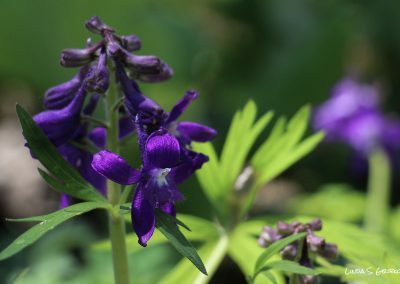 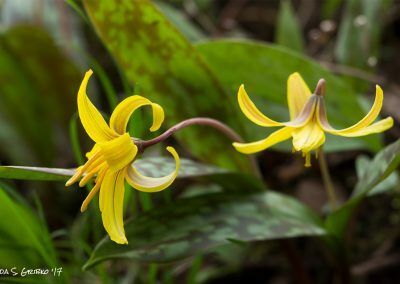 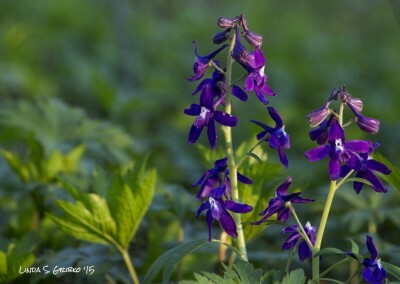 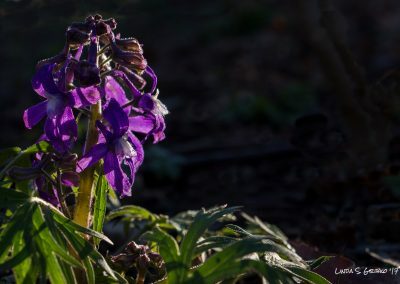 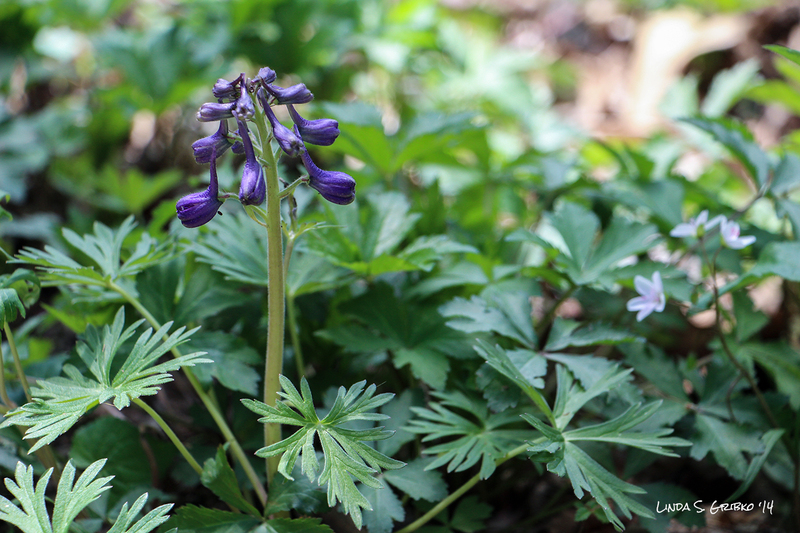 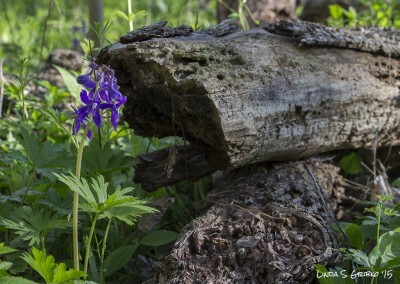 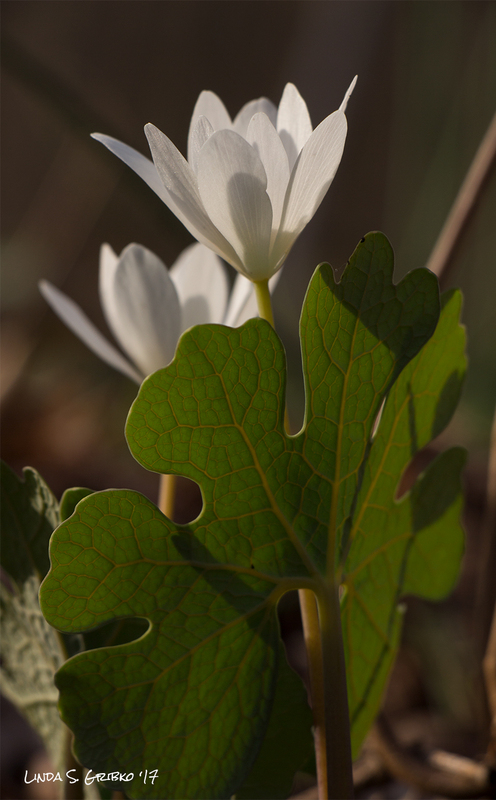 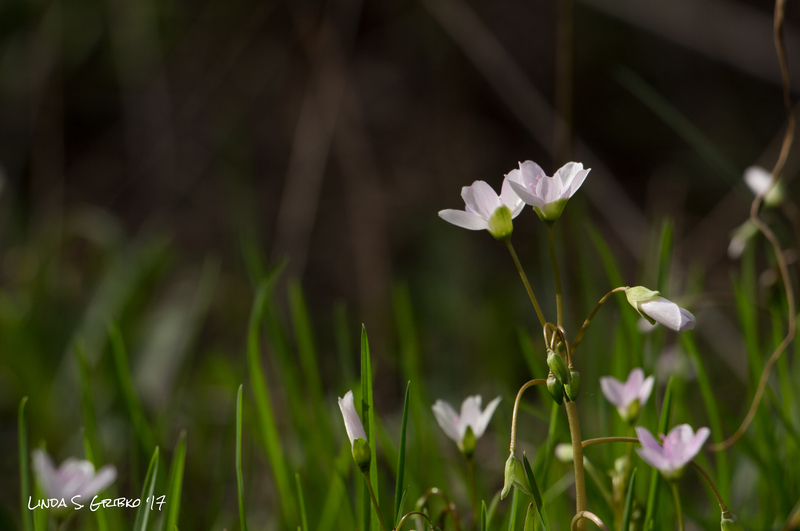 Twenty-four of my best spring wildflower photos are available as sharp 5″ x 7″ (approximately) folded greeting cards. These make wonderful birthday, Easter, sympathy, and everyday cards.